The 2015 Volkswagen Golf was announced at the North American International Auto Show as the North American Car of the Year alongside the Ford F-150, North American Truck/Utility of the Year. 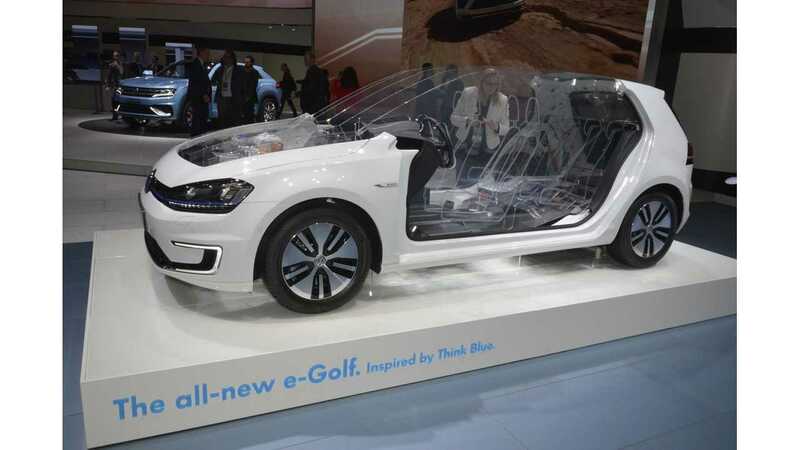 As e-Golf is one of the versions of Golf, the battery-electric is now considered to be North American Car of the Year too we suppose. 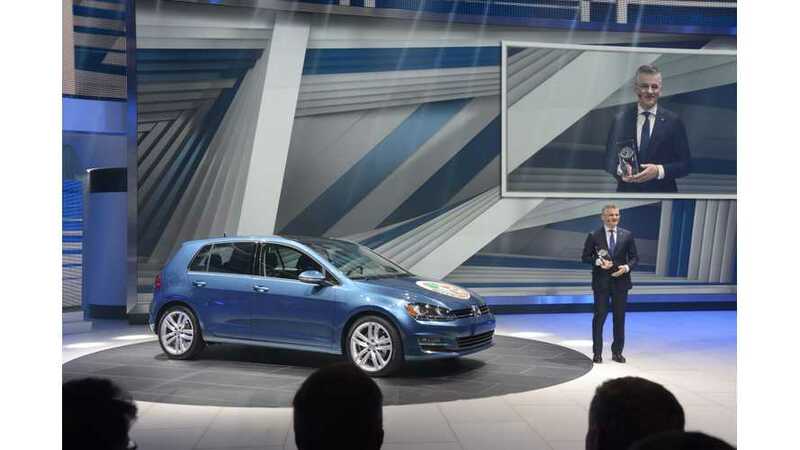 Golf won the most votes from fifty-seven automotive journalists from Canada and the United States. "The awards – now in their 22nd year – are unique in the United States because instead of being given by a single media outlet they are awarded by an independent group of automotive journalists from the United States and Canada who represent magazines, television, radio, newspapers and web sites. The three car finalists were the Ford Mustang, Hyundai Genesis and Volkswagen Golf. The Golf had 256 points, the Mustang 204 and the Genesis 110. 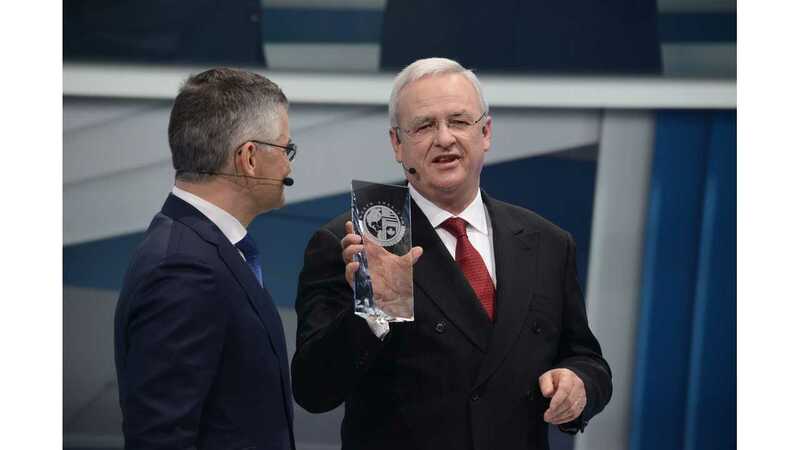 It was the second win for Volkswagen. The New Beetle won in 1999. The Golf was a finalist in 2010 but lost to the Ford Fusion Hybrid. The three truck finalists were the Chevrolet Colorado, the Ford F-150 and the Lincoln MKC. The F-150 had 297 points, the Colorado 205 and the MKC 68. It is the 8th truck win for Ford and the fourth time the F-150 has won. Last year the North American Car of the Year was the Chevrolet Corvette Stingray while the North American Truck/Utility of the Year was the Chevrolet Silverado. In the last 22 years domestic automakers have won North American Car of the Year 12 times and foreign automakers have won 10 times. Japanese automakers have three wins. European automakers have five wins. Korean automakers (Hyundai) have two wins. Domestics have won the truck competition 15 times. Foreign automakers have won seven times. Of the seven wins, Japanese automakers have won four times and Europeans have won three times."